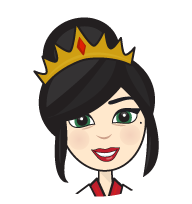 Join the Queen of Quality to experience a new learning adventure in sterile processing! A new mobile-ready game all about achieving a quality process. Join The Queen of Quality to learn all about conducting performance qualification through fun mini-games. Earn one CEU when you complete the quiz at the end of the game! 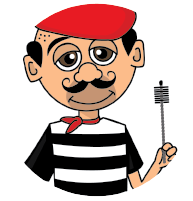 Join us with Pierre to experience the Art of Brushing. A new mobile-ready game all about the identification and proper use of brushes. Join Pierre to learn all about the proper use of brushes through mini-games about identification, cleaning and storage. 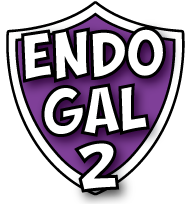 EndoGal is back with a new learning adventure! This time, EndoGal shows proper care of endoscopes. Join EndoGal to learn all about the proper care of endoscopes through mini-games about decontam, cleaning verification, storage and microbial surveillance. It's EndoGal! A new game that takes you on a learning adventure all about endoscopes. Join EndoGal to learn all about the different types of endoscopes and their uses, as well as how to properly inspect and transport them. The Lone Labeler! A new game that takes you on a learning adventure all about proper labeling of equipment. Join the Lone Labeler to learn all about equipment labels and how they play a critical role in safety. The PPE Police! A new Flash-based game that takes you on a learning adventure all about Safety and Personal Protective Equipment and Attire. Help the PPE Police ensure safety at the local hospital. 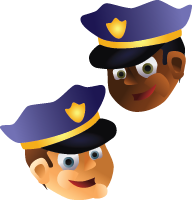 The PPE Police will guide you through the hospital and together you can make sure everyone is protected and safe! Join the PPE Police to learn all about Personal Protective Equipment (PPE) and Personal Protective Attire (PPA) and how they play a critical role in safety. Maestra Tempa's Temperature Challenge! A new Flash-based game that takes you on an adventure of learning the in's and out's of temperature importance and monitoring. Work with Maestra Tempa to learn about temperature monitoring using a variety of tools. Maestra Tempa will help you to choose the correct temperature settings of rooms and equipment and even how to monitor them with all types of tools, and more! 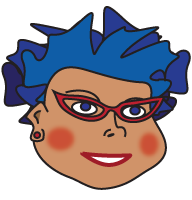 Join Maestra Tempa to learn all about temperature. CSSI: Central Service Sterilization Investigators! 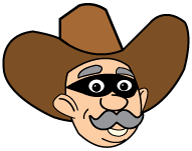 A new Flash-based game that takes you on an adventure of investigating stains and other instrument testing. Work with The Inspector to learn about surgical instrument testing techniques using a variety of tools. The Inspector will show you how to choose the correct types of tools for testing different instruments, how to determine the source of stains, and more! 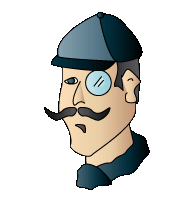 Join The Inspector in his investigation to learn all about the testing process. The Wizard of Wick! A new Flash-based game that takes you on an adventure solving wetpack issues with the Wizard of Wick. Test your skills at a word search level, work with the Wizard to properly wrap trays and load a sterilizer cart, spot problem areas in your sterilizer, and much more! The Adventures of TOSIman! A new Flash-based game that takes you on an adventure through the cleaning process as TOSIman. Navigate your way through a maze collecting PPE's, smash Blood Cell Baddies while collecting testing equipment in a side-scrolling SPD environment, prepare test racks and inspect an automatic washer in a photo-hunt style level, and much more! Return of the Clean Brothers: A Residual Mission. A new Flash-based game that takes you on an adventure through the scope cleaning process with The Clean Brothers and RESIdude. Navigate your way through the inner channel of a lumened instrument, smashing Blood Cell Baddies and other bioburdens with a cleaning brush attack. Test your equipment in a drag & drop level with the ChannelCheck test kit, and much more! The Saga of SONIgal! A new Flash-based game that takes you on an adventure through the sonic cleaning process as SONIgal. 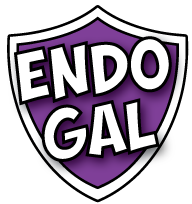 Help SONIgal remember her PPE's in a word search level, swim through an ultrasonic tank to make sure it is degassed and cleaning verification tests are placed properly, and much more! TOSIman's Delivery Service! A new Flash-based game that takes you on an adventure delivering trays and scopes to SPD for processing. Help TOSIman deliver used trays and scopes from various hospital departments to SPD on time with the help of HumiPaks. Trays and scopes that have been used must be processed quickly before blood or other organic soils dry, making the cleaning and sterilization process much more difficult! With your help, TOSIman can get them there on time. Are you up for the challenge? WIKI's Pouching Paradise! A new Flash-based game that takes you on an adventure of proper peel pouching. Work with WIKI to learn about proper packaging techniques using peel pouches. WIKI will show you how to choose the correct type of packaging for different instruments, how to load a sterilizer cart, and more! Join WIKI in his Pouching Paradise to learn all about the packaging process.